The track features a lot of whoops. One whoop section runs nearly the entire football field length of the track, but it's a split lane, with one half featuring a double followed by whoops, and then another featuring whoops followed by a double. Unlike most split lanes where the riders immediately figure out which side is fastest and never again venture into the other lane, we've seen riders try both sides in the early practices. The only trouble will come if two riders are battling and try to take the same lane--with the track split in half, there's not much room to maneuver if you get a good run in the whoops. 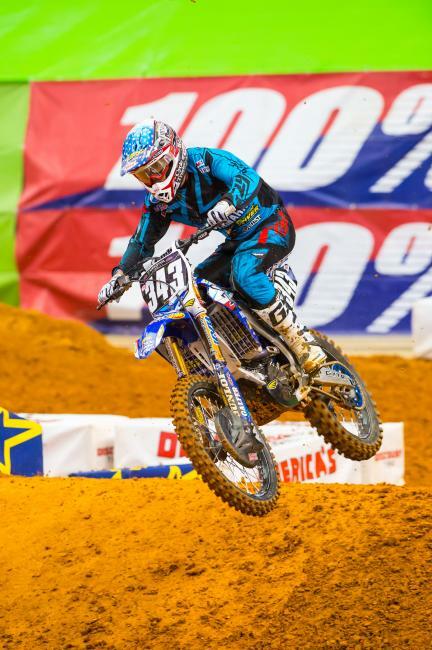 Our resident ex-pro, Jason Thomas, says tonight's biggest factor is the hard, slick dirt. It's a far cry from the old school rutted, soft, sticky Georgia clay we used to see. Technicians with some throttle control might have an unexpected advantage tonight. 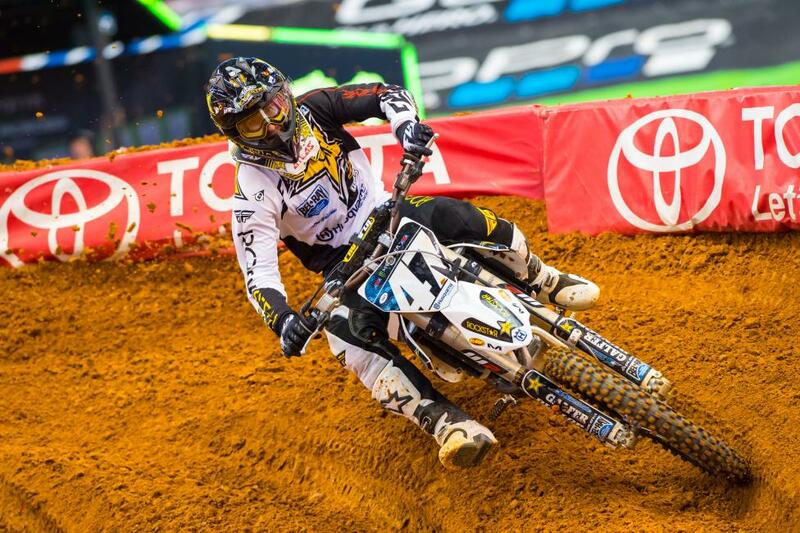 Martin Davalos enters the second round of the East Region 13 points out of the lead. Back in the Winners’ Circle?